Usually, the cooperative would have sold out all their products within one month after harvesting. However, there are still over 700 cartoons left from last year’s harvest without buyers. More than 7,200 bottles of honey still lie in the cooperative’s storeroom. The reason according to the cooperative’s members is due to the increase in the price of honey after ISO certification. The cooperative spent around Nu 3 M to add new facilities and equipment to its processing unit for ISO certification. Some works are still going on. “During ISO certification, there were lots of requirements and we had to make a lot of expenditure for new constructions. So, to recover our expenses we increased the price of our product,” Tul Bahadur Chhetri, the Cooperative’s Chairman, said. The cooperative increased the price for the 500 gram-bottle to Nu 400 from Nu 250 and the new rate for the smaller bottle was increased by Nu 50. However, the prices have been reinstated to the old prices recently. There are also other reasons affecting the sale of honey. “Nowadays, there are lots of competitors. They got licenses as well and they are running it individually. However, if they do individually, the product won’t be processed hygienically and they are not technically sound. In the future, if they get registered under the cooperative, we will provide facilities to them and the honey will be hygienic as well, ” Tul Bahadur Chhetri said. “We have changed the colour and style of labelling on our product. We used to stick a pink labelling in the past. However, we started using this green labelling since 2018. The difference is that we now have manufacturing date, expiry date and ISO certification identity as per BAFRA’s recommendations. We think this could have confused our customers,” Sonam Rinchen, a Board Member of the Cooperative, said. Since the ISO certification, some foreign businessmen from Japan and Singapore have purchased the cooperative’s honey on trial basis. However, the members say more support needs to be rendered to them. 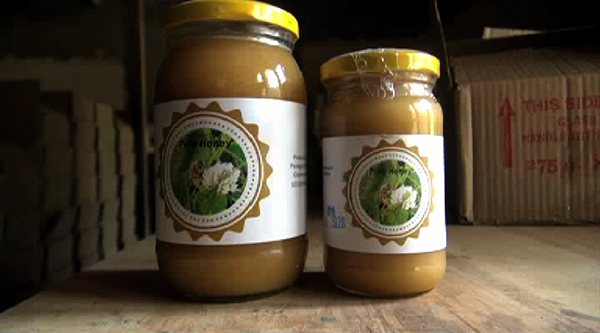 “There are lots of beekeepers nowadays and if their products can meet the local demand, we can export our honey elsewhere as our product is quite huge. So, we hope the government could intervene and look for market overseas,” Sonam Rinchen said. “Due to the marketing problem this year, we had problems making payments to our members. Usually, we provide sugar and loans to our members but we couldn’t do it this year. With more youths taking up beekeeping, if the government could grant us some budget to our cooperative to conduct training it would be helpful,” Sonam Wangchuk, the vice chairman of the Cooperative, said. At present, there are 104 members registered with the Beekeepers’ Cooperative of Bhutan. The cooperative buys the honey from its members. It also has a micro-financing scheme for its members.